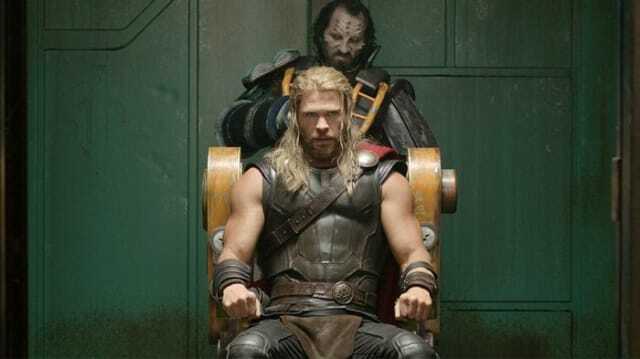 No one clamored for another THOR: THE DARK WORLD, but is RAGNAROK what we needed instead? That was hilarious, but what did I just watch? The above scene, in a very strange way, sums up the entire experience. 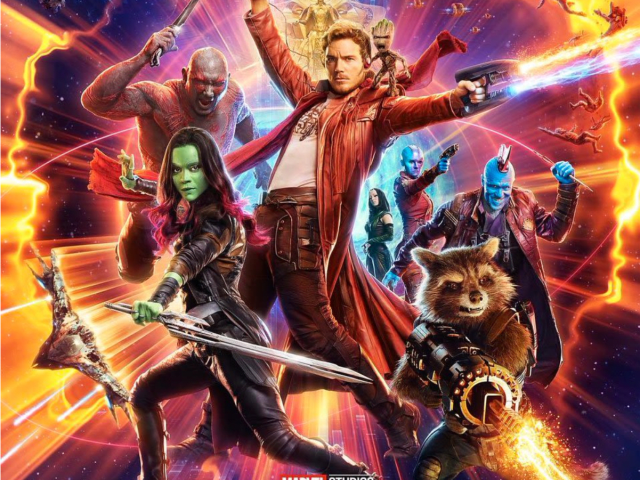 It was fun, yes, and genuinely funny in parts; but where Guardians of the Galaxy 2 succeeded with both heart and neon-glazed humor atop potentially universe-ending villainy, RAGNAROK merely delivers a hollow version of the same. 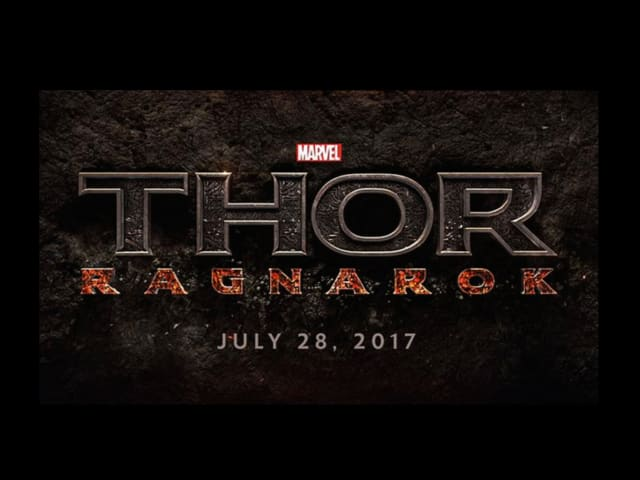 Click the old RAGNAROK logo above and you'll reveal the new, current one. That's about as big a tonal shift marketing for a film can make. Somewhere along the line, Marvel drastically changed their idea of what they wanted the next Thor film to be. It's admirable for a studio to recognize when something is at risk of becoming stale - and as a complete package, THE DARK WORLD felt like a step in that direction. Unfortunately, though, this isn't a case of a studio recognizing a film's faults: it's a case of them recognizing another's successes - and that's how we ended up with a superhero comedy about the end of all things. Not really two phrases you'd expect in the same sentence, right? Let alone the same film. There's a lot that saves the film from being anything close to a disaster. In fact, it is quite enjoyable for 95% of its 2 hour & 10 minute runtime. Chris Hemsworth is always a joy as Thor, and he looks better than ever in the role (long or short hair). The unfairly-handsome Australian, now 34, shows a lot more of the physical gruff we'd expect of a man with the title of "God of Thunder". Yet this ends up wasted, as the film is in no way a vehicle for a more weathered and aged Thor. He's still in there, for sure, but muffled by punchlines and a jokester-persona that is brand new and ill-suited to the character. 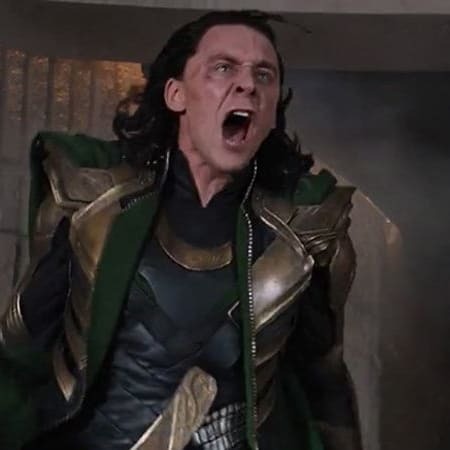 Marvel spent two core Thor and two Avengers movies building up the Son of Odin, his complicated relationship with his father (Anthony Hopkins) brother ('er adopted brother, Loki, Tom Hiddleston) and their surrounding mythology. For all of Dark World's flaws, it still lived within the tangible Norse mythology Marvel had built. It did a solid job of continuing Marvel Studios' only fantasy-laden property into the modern era. Yet when that film sat rather lukewarm with the public in 2013, there was no hurry to release its followup, and the 'threequel' was scheduled for a then-far-away 2017 summer season as part of the next Marvel Phase of films. 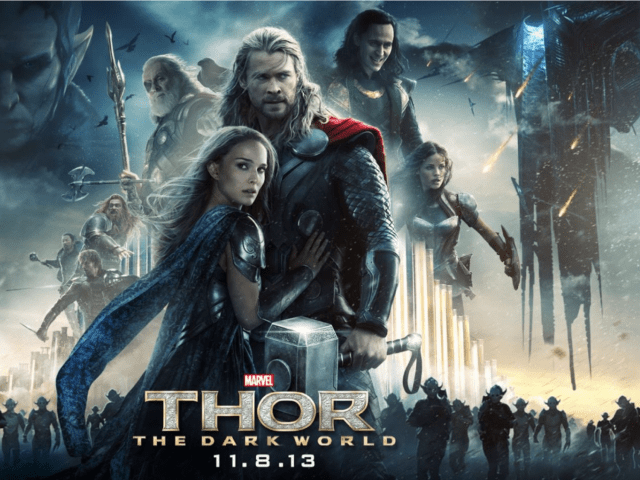 Did you enjoy THOR: THE DARK WORLD? Yes! Love the Thor films. In the four-year gap between Thor sequels, Guardians of the Galaxy happened and took audiences by the scruff of the rainbow-clad-space-unicorn dreams they didn't even know they had until Guardians existed. Even more surprising, they captured lightning in a bottle twice with the sequel, and this may very well be what changed Thor's third outing forever. 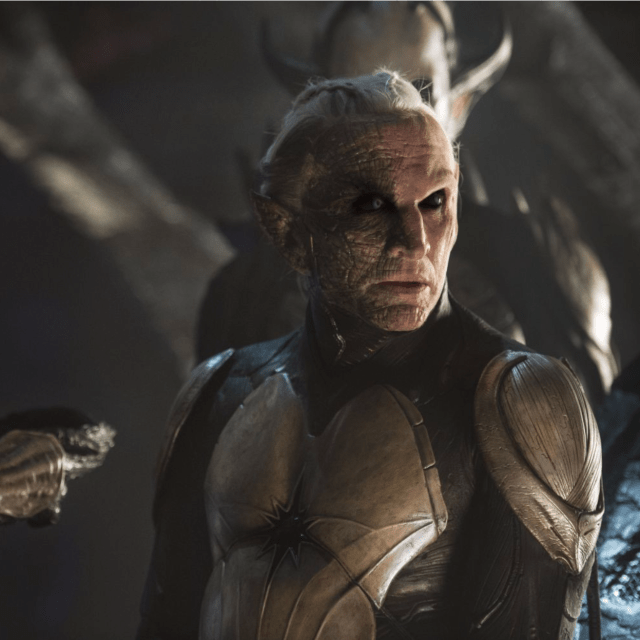 The Guardian's success twice over was proof Marvel had a working formula for comedic superhero outings, and since Thor's own sequel was met with a resounding "Meh" - Why not re-package their other space-opera franchise to the same winning tune? Everything from Ragnarok's posters and merchandising to the editing and soundtrack of the final trailer have Guardians written all over it, and the public responded. It's not just pro-rate marketing, it's a way to ensure audiences are met with more films like the ones they've enjoyed in the past. Not all Marvel films are the same, but Ragnarok is certainly aiming to emulate it's successful predecessors. Marvel is in full "give the people what they want" mode with Ragnarok, shaving away any and all of the mythological heft the first two films held in favor of a brand of super-humor that has now become synonymous with the studio. This is strange and unnecessary, too, given how skilled the studio has proven at balancing serious material with humor. Either way, there is no denying the well-earned appeal of the GOTG films, and why would anyone try? They're not just funny, they're damn good, imaginative entertainment. But where those films and their director, James Gunn, succeed at comedy-within-spectacle - is exactly where Taika Waititi & Ragnarok teeters on failure. Marvel is giving the people more of what works. But is that a bad thing? For moviegoers at large, Ragnarok is obviously doing a lot right. 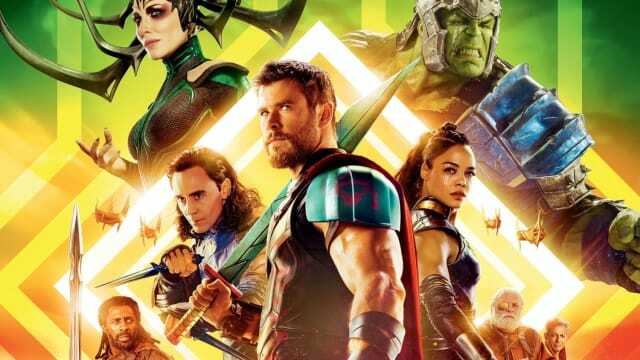 For starters, a few forced laughs and a forgettable score are mostly made up for by Thor's new utilization of his lightning-bound gifts, the costume design, and the full cast. Kate Blanchett is marvelous (pun intended) as Hela, the Goddess of Death. She ebbs power and delivers on her own promises of destruction (and looks fantastic doing it). The same should be said about Tessa Thompson, as she gives an equally stirring performance as this film's Valkyrie, delivering one of the better overall character arcs. These two characters are responsible for pretty much the only mythology present in the film, and serve as beacons of what could have been had Marvel chosen to continue on with their Asgardian Fantasy. There are two scenes in particular where we are treated to incredible classical imagery, and both Blanchett and Thompson utterly sell it, only to be sidelined by the film's desire to be a comedy moments later. Jeff Goldblum's Grand Master adds heavily to this levity, and is at peak-Goldblum here as he makes the film's otherworldy events feel very approachable, as is his forte. Then, of course, there's the Hulk. Ragnarok's marketing has played up the Thor/Hulk dynamic heavily, and it does not disappoint. Director Taika Waititi clearly gets the Hulk, and does a tremendous job of bringing him to life for the first time as an articulate character (the Jade Giant has way more than one line this time around). Every single bit of Hulk is a pure joy to behold, and to Mark Ruffalo's credit so is Banner. These two sides of the same coin steal the show, as they so often do, and make for the best moments of the entire adventure. Waititi has a lot of fun with his own role in the film as well, the director being responsible for both the motion-capture and voicework of newcomer Korg. Waititi's comedic timing is pure gold, but this serves as either a huge plus or monumental distraction - and it all depends on the scene. It's not worth spoiling any of the film's big moments, but nothing ruins any chance of emotional resonance like a misplaced punchline. Unfortunately, in this, RAGNAROK robs itself of being a great Action-Comedy, and instead settles for lesser laughs. And it's not just one important, life-altering moment Waititi's Korg kills with a joke; it's several. Thor himself is guilty, too. He's had absolutely golden one-liners in past films, but all at appropriate times orchestrated by directors who understood when to be funny, and when to be sincere. 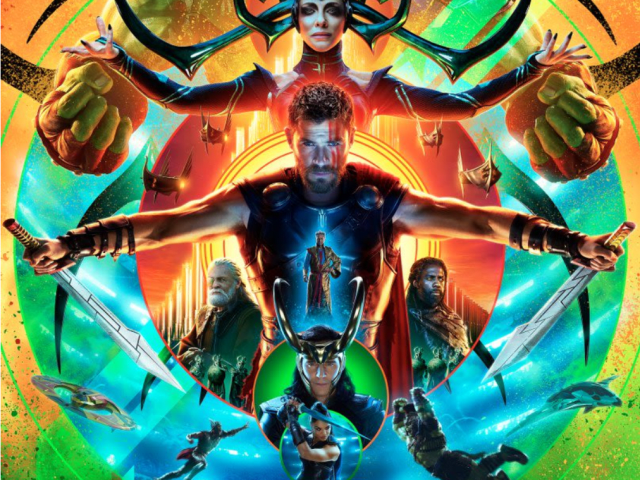 This, unfortunately, seems lost on Waititi as the very title of the film ends up a punchline, and even Hela (a character who is certainly not built for comedy within his own film) follows one of her most poignant lines with a knee-slapper. Again, so much of what was built up by prior entries is discarded as throwaway plot devices (including entire locations and fan-favorite characters) cheapening an otherwise entertaining affair. 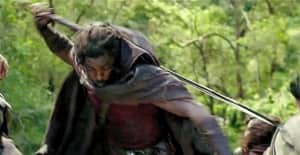 Thankfully, one returning Asgardian that escapes this hollowing is Idris Elba's Heimdall, who emerges as the film's unsung savior. Everything he does is a welcomed change-of-pace, and the narrative is much better for him. Elba carries the past Thor entries' noble fantasy-feel with him, making it even harder to let go of what may have been. Karl Urban's unexpectedly identifiable Skurge "The Executioner" turns out to be a big part of what works about the plot, too, despite one specific so-far-over-the-top choice made with his introduction scene that it may immediately take others out of the film as it did me. Scenes like the one I'm referencing stick out like a sore thumb in Waititi's sandbox. There's an astronomical difference between trying to shift the series' tone to the whimsical space opera of the original Thor comics (which half the film does superbly), and straight up flushing these characters down into dude-bros in space, complete with toilet humor ( i.e. the 'sore thumbs' of the affair). It's worth mentioning, either way, that Skurge is the spitting image of his comic counterpart, as is Hela. 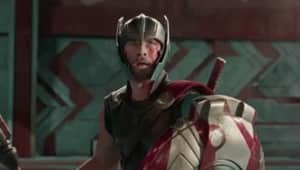 The aforementioned characters left me longing for the Marvel films that had faith in their substance, and therein lies the key difference between Ragnarok and Marvel's other comedies: The film shows the studio's complete loss of faith in this hero's ability to shoulder a meaningful franchise. I am fully aware, as a bigger fan of the previous Thor & Captain America films than I am of the Guardians or Iron-Man outings, that I may not be the target audience for this adventure. 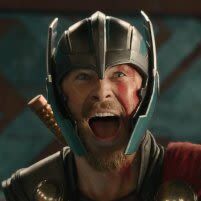 Ragnarok's marketing and substance were tailor-made to entertain moviegoers, and will certainly do just that for most. But if you, like me, were looking forward to a proper conclusion to Thor's family story and trilogy, you may wind up disappointed after watching an Asgardian wield a Shake-Weight before his homeland begins to burn. That aside, there's still elements to enjoy about Marvel's latest outing, and it will at least leave you curious to see how these characters, new and old, factor into the Infinity War to come. But before that, bring on BLACK PANTHER. 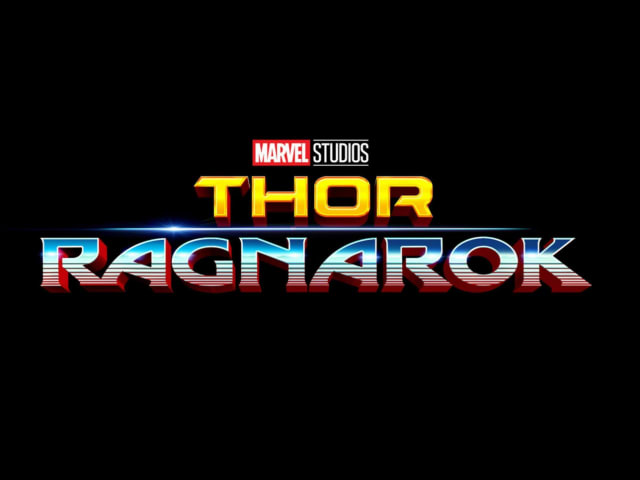 Directed by Taika Waititi - Starring Chris Hemsworth, Kate Blanchett, Tom Hiddleston, Tessa Thompson, Idris Elba, Anthony Hopkins, Jeff Goldblum, and Mark Ruffalo.